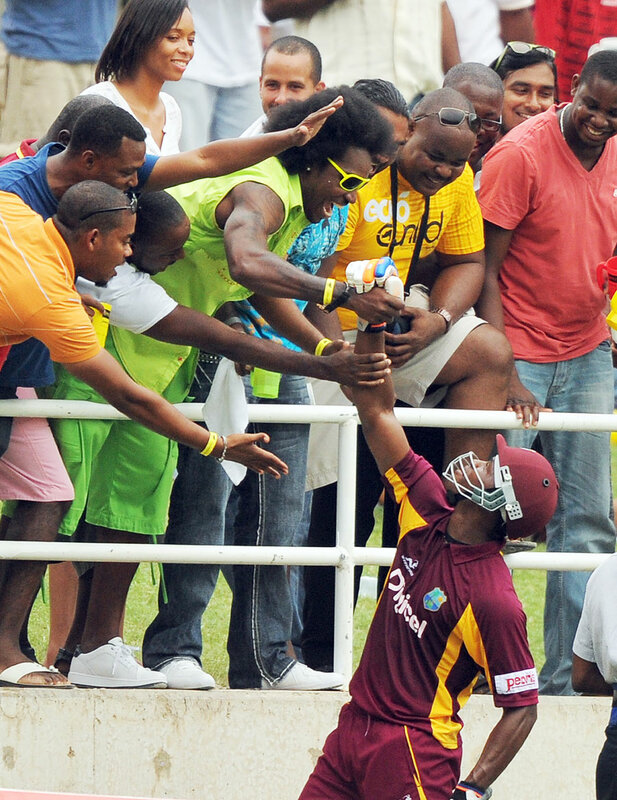 Subcontinental fans might be the most passionate in the game, but no one can celebrate like the Caribbean fans. Chris Gayle might not have played in the series, but he remained the hottest topic of discussion during the series; He did attend some of the games though, where his afro during the final game was a show stealer. West Indian umpires have proved that they can be even worse than their Indian counterparts. Throughout the series, the only Indian commentator I heard was Sunil Gavaskar. Small mercies. Lendl Simmons can bat. Its just that he has not learned to bat as long as possible. 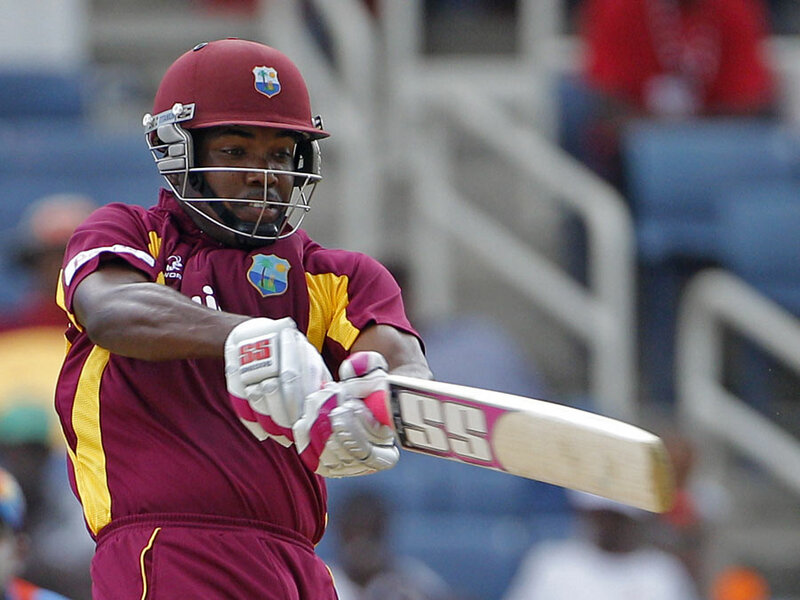 One of two batsmen in the West Indian team who can boast of good consistency. 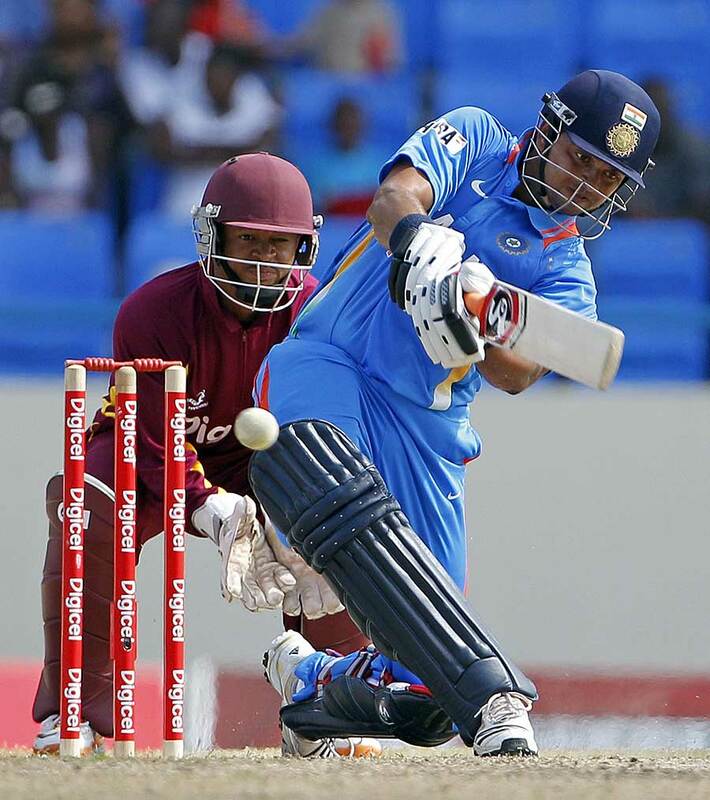 Ramnaresh Sarwan might not be the same batsman he once was, but there is no doubting that he still retains the same fighting spirit. Marlon Samuels is not a batsman most Indian fans would forget in a hurry, after all the thumpings he administered to the Indian team in the early 2000s; He is still slowly getting into his groove, which is not a good sign for opposition bowlers. It has been drummed over our heads that Darren Bravo bats like Brian Lara; in the final game of the series, he added some substance to the style to give the Caribbean something to cheer about. Kieron Pollard still needs to convince many that he can perform against top teams, despite handy contributions towards the end of the series. Like his Indian counterpart, Carlton Baugh is short and handy with the bat; unlike his Indian counterpart, he is reliable behind the stumps, showcasing his skills in the 4th game. 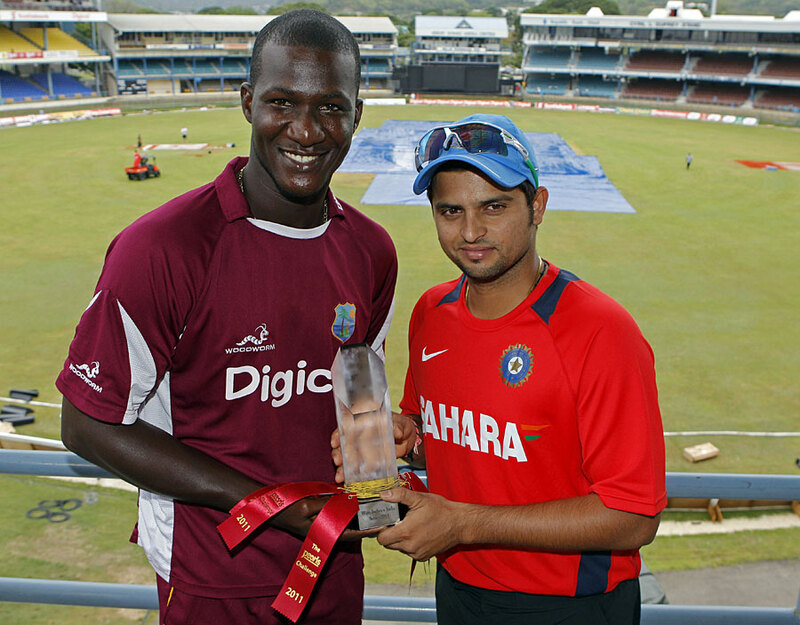 Darren Sammy might never be accepted as a deserving member of the team, let alone its captain. Still, he showed a lot of heart with decent performances at the start of the series, even as his team-mates floundered around him. Andre Russell is starting to become the new poster boy of West Indies cricket. With the ball, he is quick and has a precious knack of taking wickets at crucial junctures; with the bat, he is feisty and as he showed in the 4th game, he can give the ball quite a thump. Now all West Indies needs to do is protect him from a few IPL franchise owners. I expected a lot from Devendra Bishoo, but it was another leg spinner who rose to prominence in this series; Anthony Martin might be a professional fire fighter, but when it comes to cricket, he is all for creating panic amongst the opposition. 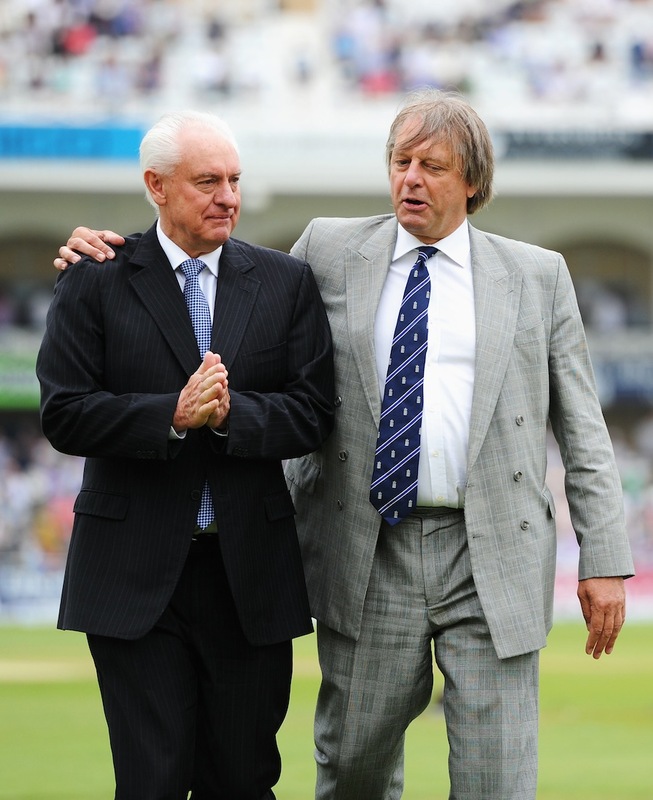 If handled properly, West Indies might just end up with two quality leg spinners in their ranks. Shikhar Dhawan and Manoj Tiwary might be two of the more promising batsmen in Indian cricket, but in this series, they looked out of their depth. Looks like more India A tours might do the trick. Parthiv Patel played all games in the series, depriving W Saha any chance of making an impression in the absence of MS Dhoni. He did his job as a batsman, though his keeping behind the stumps still left a lot to be desired. Virat Kohli has established himself as the best batsman of the younger lot. A place in the Test team beckons, and he might just leapfrog Suresh Raina in the captaincy stakes next time. Rohit Sharma could well turn out to be a typical West Indian cricketer; for all his talent and high praise received from peers and experts, he has rarely done any justice to his skill. This series, he took a step towards correcting that, with a couple of match winning knocks and bagging the Man of the Series award. Only time will tell if this was a break-out series for him, or just another flash in the pan. Subramaniam Badrinath is running out of time. The senior-most player among the second rung, he does not have age in his favor and has had to sit back and watch young guns like Sharma and Kohli steal the show. While he guided India to victory in the only T20I, he didn’t make enough use of his chances in the ODI series, thereby signalling a possibly premature end to his ODI career. He still has the Test series to prove himself; whether he gets a chance is another matter. Yusuf Pathan is not quite in the same boat as Badrinath, but he cannot live off two blistering centuries forever. With the ball, he was steady but non-threatening. With the bat, he didn’t quite set any pulses racing. Luckily for him, his competition did not do that either. Suresh Raina had a poor series. On one hand, he captained the team to his maiden series win; on the other, he combusted as a batsman, perishing to the same infuriating slog shot, over and over again. Along with Kohli and Sharma, he is a player for the future; but if he keeps performing like this, the critics will be baying for his blood soon. This was a series for the Indian spinners, in particular Amit Mishra. He came into the series with a lot to prove, after his omission from the World Cup squad. At the end of it, he made the selectors look foolish with his returns. R Ashwin impressed in the brief opportunities he got, though he would love to take more wickets and forget his last two overs in the final game. Among the seamers, Praveen Kumar impressed, ultimately earning a call up to the Test squad. Munaf was called a ‘spinner’ by a West Indian pace legend, but he still remains as one of the few quality pace bowlers in the side. Ishant Sharma and Vinay Kumar showed glimpses of their abilities, but still have a way to go before they can be considered as regulars in this format of the game. All in all, the 3-2 margin is a fair call; India’s second string team was marginally better than a West Indies team sans Chris Gayle. If anything, this should increase expectations for a tighter contest in the Test series. There’s a well known saying that goes, ‘Champions are made, not born’. 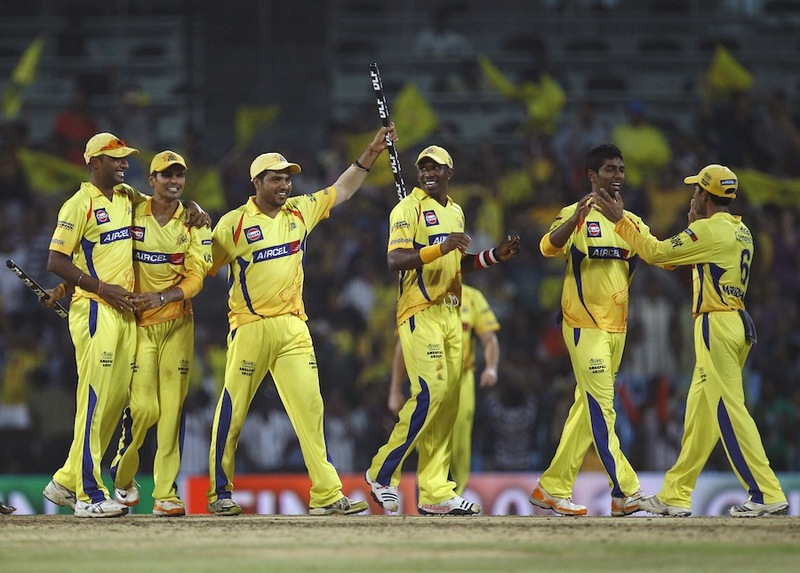 Chennai Super Kings are a prime example of that adage. Here is a team that comprises of an eclectic mix of players from different cultures, languages and experiences, who when playing under the same banner, manage to win trophies regularly. So, what makes them different from the other 9 teams who can boast of similar compositions? 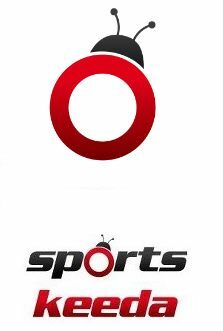 To read the rest of my article, head over here…..
With the IPL coming to an end, it is time to take a look at the most impressive performers of the tournament. I wrote an article on it at FreehitCricket. Take a look! Dhawan: Do I stay, or do I go?